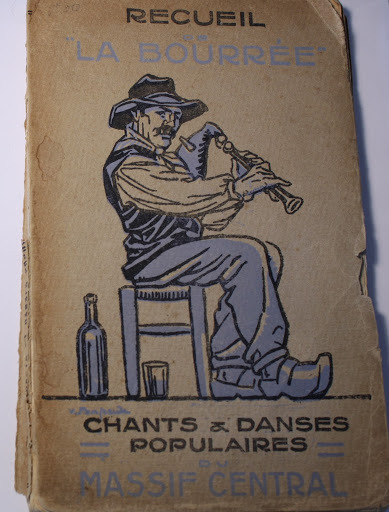 Some years ago, at John Merrill’s bookshop in Hallowell, ME, I ran across this gem: Recueil de “La Bourrée”: Chants & Danses Populaires du Massif Central. Published in 1929, this tunebook was the product of a group of musicians, emigres, and enthusiasts in Paris. The book was in good shape when I got it, but the news print has deteriorated markedly. My original thought had been to re-typeset it using a publishing program and MuseScore, but — with five kids, a new job, and a doctoral program — I simply didn’t have the time. So I asked my daughter, Brigid, to photograph the book, and I published it as blog posts. Now that I have finished, you can download the entire book in PDF form HERE. Meanwhile, the folks over at concertina.net took this project to heart. Steve Mansfield, organizer of Le Session, in Manchester, England, has transcribed the tunes from the book into convenient ABC format. That tunebook can be found HERE. 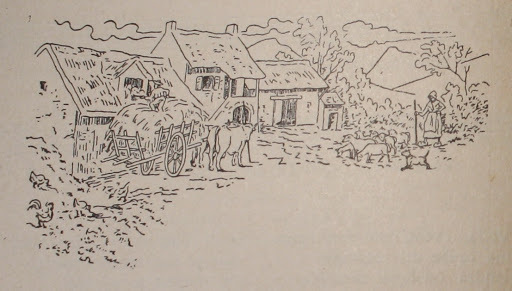 Additionally, Chuck Boody has created a PDF from the ABC tunebook and compiled an index. That PDF can be found HERE.